Registered Icelandic Gelding for sale. Hvati is born in Iceland in 2004 and imported in 2011. He is from the famous farm Ketilsstaðir. His sire is Gustur frá Hóli and Dam is Hefð frá Ketilsstöðum. Hvati is a great riding horse as well as a show horse. He is five-gaited with easy and roomy gaits. He is very light on the bit and knows many basic dressage exercises. He responds very well to the riders seat. 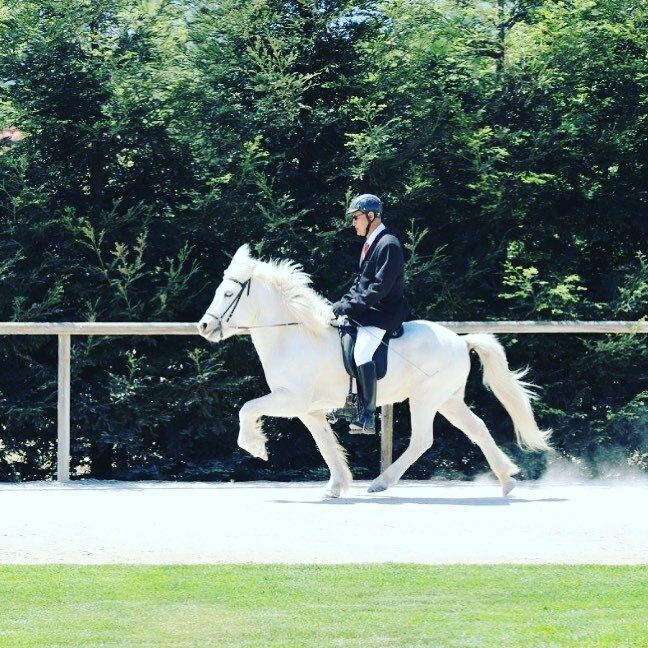 He is best suited for Intermediate to experienced rider looking for a smooth ride and to connect with a horse with a pleasing personality.